Did you hear? Our very own Tripawds Admin guy, Jim Nelson, will be speaking at the largest pet-blogging and Social Media conference, May 8-10 in Henderson, Nevada. Thanks to an amazing list of sponsors, the Tripawds Nation is making a big appearance at the 2014 Blog Paws Social Media Conference. Now in its sixth year, the #BlogPaws 2014 Conference is the the world’s biggest and best blogging and social media conference specifically for pet lovers and veterinarians. Speakers and attendees range from bloggers writing about dog breeds, cats and ferrets, to well known vet-bloggers and social media experts. We are honored to be part of the pawesome program lineup, and look forward to networking with other animal lovers and veterinary experts. Why not join us? We’ll make it a Tripawd Pawty! Jim with be sharing expertise he has learned by managing the Tripawds Facebook page and chapter groups. The BlogPaws conference is also a great way for us to learn how to get the word out about the Tripawds Nation. With spokesdawg Wyatt Ray at our side, it’s also the perfect place to demonstrate the capabilities of animal amputees to hundreds of influential writers and social media experts. Our participation at BlogPaws is only possible thanks to the generous support of the following sponsors who believe in the Tripawds mission. Please join us in thanking them by visiting their websites for more information or connecting with them on Facebook! K9Medicinals.com is proud to partner with Tripawds for BlogPaws 2014. BlogPaws is a wonderful opportunity to share our “Mission of Hope For Your Pet’s Cancer” through the use of K9Immunity Plus. K9Immunity Plus has helped over a million dogs fight canine cancer and given hope to their families. 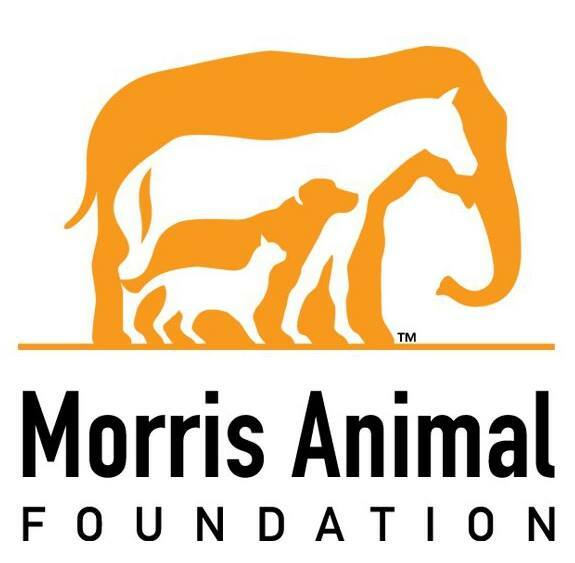 Morris Animal Foundation is proud to announce our partnership with Tripawds on the news blog for BlogPaws! 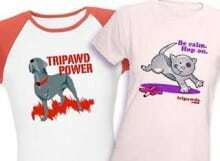 Tripawds continues to be a loyal supporter of our Foundation and a top fundraising team for our K9 Cancer Walk Program. Cancer is a disease that continues to touch many of us. By partnering together, we are committed to spreading awareness about K9 Cancer because we want help fight this disease and save the pets we love. With the mission of building performance product to enhance and inspire outdoor adventures for dogs and their human companions, Ruffwear Performance Dog Gear™ combines technology, quality, fit, function, and safety to meet the needs of active and adventurous canines and their humans. That Fish Place – That Pet Place is a proud to be a sponsor of Tripawds! That Pet Place is a family-owned pet supplies business founded in 1973 in the heart of Pennsylvania Dutch Country in Lancaster, PA and online at thatpetplace.com. Everyone at That Pet Place is dedicated to providing exceptional customer service that makes pet ownership fun, affordable, and educational! Our vision at OrthoPets is to improve our patient’s quality of life through innovative Veterinary Orthotic and Prosthetic (V-OP) devices. We offer custom made solutions for pre-op, post-op, and non-operative cases. OrthoPets is the founder of V-OP, and has helped more then 10,000 pets from around the world. OrthoPets’ goal is to educate veterinarians and pet lovers around the world about V-OP and provide second chances for our beloved pets. Tripawds and OrthoPets share in a common goal, our pets deserve a second lease in life. These generous companies are partnering with us for three unforgettable days in which we’ll spread the word about the Tripawds lifestyle and how to make it better than ever. Join us in giving a round of applause for their participation and belief in our community’s mission to educate the world about three-legged heroes. Help us thank our sponsors by tagging them via social media and learning more about their pawesome products to help your Tripawd have the best life ever! This pet-friendly gathering is one of the best ways to learn the ins and outs of social media. Although it’s focused on helping pet bloggers improve their online presence, it’s a great way for all entrepreneurs and marketing department staff to learn better ways to connect with your audience. 🙂 so glad to be making the trip this year and to have my company be a proud sponsor of this terrific organization! Ohhhhh dear……not the “tail pic”……this picture!! Geeeeez, that’s what I get for trying to mess with the Admin Guy!! RENE….RENEEEEEE……Will you erase the tail please?? CLAP….CLAP!! Happy Hannah and I aren’t going to be avle to make the trip this year. HOWEVER, we wanted to send you our “Apple-Grape” Computer to help with your POWER–POINT presentation!